After a five-year career with the UFC, former lightweight champion Eddie "The Underground King" Alvarez makes his ONE Championship debut on Sunday at ONE: A New Era against Timofey Nastyukhin in Tokyo. Watch the event on B/R Live. Eddie Alvarez fought against some of the best mixed martial artists on the planet during his time with Bellator and the UFC, earning a reputation as a thrilling performer unafraid to finish his opponent in frenetic style. We spoke with The Underground King about his long-term ambitions with ONE Championship during the promotion's recent press tour in the United States. "I want to bring [ONE Championship] to America and show the American fans true martial arts and the honor, the respect, and dignity that goes into it," Alvarez said. "The best fight the best. It's not about who has the most Twitter followers or who fought in WWE. It's about the best fighters fighting the best fighters." Alvarez signed with the Asian-based promotion last October in an eight-figure deal that is one of the largest in mixed martial arts history. It was also a chance to star in a promotion more about the action inside the ring than out. "It's run by fighters and for fighters," Alvarez said. "The executives are all martial artists who have competed and understand the highs and lows of the sport and understand the fighters. That's been a breath of fresh air in that aspect." It's been a long road for The Underground King. Born in the Philadelphia neighborhood of Kensington, so notorious for its organized crime and drug trade that mayor Jim Kenney declared a state of emergency for the area last fall, Alvarez always knew he was meant for more than what the area could offer him. "My calling was greater than to just work a job every day and make ends meet," Alvarez said in an interview with ONE Championship. "Fighting gave me that outlet. It was something I was always gifted in, something I always enjoyed." Working in construction to supplement his mixed martial arts dream, The Underground King spent the first three years of his fighting career traveling to smaller promotions across the northeast and dominating the competition en route to a 7-0 professional start. His knack for knockouts quickly spread around the MMA world, with Alvarez getting the opportunity to compete in Japan, Canada, Costa Rica and Russia all within a year. The journeyman finally found a long-term home in 2008 when he spent the year with Japanese-based promotion, Dream. "When I fought in Asia, I became very popular," Alvarez told Brian Mazique of Forbes. "When I fought in Asia, the fans truly loved fighting and martial arts. They believed in the integrity, the honor, and the respect. That's what they valued." After conquering the international scene, Alvarez decided to return stateside and join Bellator as one of the promotion's first signings. It was here that he cemented himself as one of the best lightweights in the world, bulldozing the division en route to his first major title. He went on to become the first two-time lightweight champion in Bellator history, capturing the belt again in his last fight with the company. Months later, Alvarez joined the UFC. His first test came against fan favorite and 24-6 Donald "Cowboy" Cerrone. 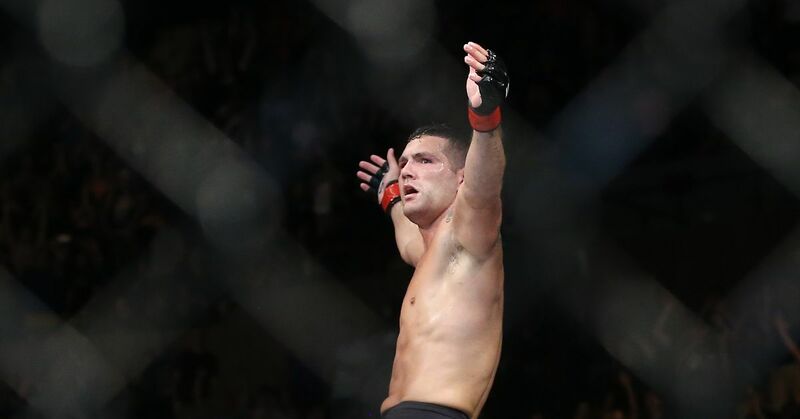 He lost the bout by unanimous decision but went on to defeat stars such as Gilbert Melendez and Anthony Pettis before earning a UFC lightweight title shot against Rafael dos Anjos. It was then that Alvarez did the unexpected, defeating Dos Anjos by first-round knockout and becoming the only athlete to win a title in each of the United States' two biggest mixed martial arts promotions. Alvarez silenced many doubters within the division, and he came out of his title-winning bout with a clear understanding of who he wanted next: "Please give me Conor McGregor." Months later, Alvarez's plead was answered. The lightweight titleholder took on featherweight champion McGregor on November 12, 2016, at Madison Square Garden, the first UFC event to take place in the historic arena. As one can imagine, the trash talk quickly followed. All eyes were on McGregor, who could become the first simultaneous two-division champion in UFC history with a win. "Mystic Mac predicts I'll knock him out in one round," McGregor said when discussing how he thought the bout would go. It wasn't the first round, but The Notorious did defeat Alvarez by TKO in the second. Alvarez admitted he felt out of sorts when having to verbally spar with McGregor throughout the buildup to the event as a competitor used to keeping his head down and focusing his attentions on the match. This was part of the appeal of returning to Asia for ONE Championship once his UFC contract finished in mid-2018. "At ONE, I don't have to conduct myself in any manner, or change my character or try to be someone just to get a title shot, or jump in line, or something like that," Alvarez told Brian Mazique of Forbes. "America is very much like that. It's like the squeaky wheel always gets the oil because a lot of American fans want to hear a story, a rivalry or a grudge... I can be myself (at ONE). I don't have to act out of character to sell something. I'm looking forward to being myself and not having to do things that I don't necessarily agree with in order to get ahead or get to a title shot." The power of free agency is something the Philadelphia native tries to emphasize to fellow peers in the tail-end of their current contracts after signing his historic eight-figure deal. "I was under the notion that all fighters are underpaid. All fighters in general. For the value we bring and how much the promotions make overall, not just UFC; what they make versus what is paid out, all fighters are underpaid,” Alvarez explained in a recent interview on The Ariel Helwani MMA Show. "The value of free agency today is so incredible. For any fighter to give that up is foolish. If you really want to make money in this sport and test how much you're worth, you become a free agent. I would say there's no other option." The Underground King is excited to return to Asia as he reminisced about his first stint on the continent. Nine months after his last match, Alvarez will take the ONE stage for the first time against Timofey Nastyukhin in the quarterfinals of the ONE Lightweight World Grand Prix on Sunday in Tokyo. The winner of the tournament becomes the No. 1 contender for the lightweight title held by Eduard Folayang. His quest to become the first mixed martial arts athlete in history to win a title with Bellator, UFC and ONE soon begins. "I know everything I need to know about Timofey," Alvarez said. "For me, it's about his fight style. I've fought all over the world against guys from all parts of the world, so I understand fight styles and how I match up against them. It also appears Alvarez is already being targeted by other athletes in the ONE lightweight division, with fellow American Lowen Tynanes calling him out after his first-round Grand Prix win. "The idea that any other athlete is fixated on what I'm doing...I'm not a poster boy," Alvarez said in response to Tynanes' callout. "I don't want to be a poster boy. I'm here to prove myself, so whatever attention I'm getting, I've earned it. The fire in Alvarez is still clearly well-lit.